Southeast Health offers a wide range of mental health services and programs, which are supported by board-certified psychiatrists, licensed counselors, social workers, nurses and other clinical personnel. All of our physicians and staff adhere to our strict rules of patient confidentiality. The Intensive Treatment Program (ITP) is a mental health inpatient program for adults ages 19 and over and provides help for those who need immediate psychiatric care in a safe and secure environment. This licensed unit provides the care and support needed to allow patients to re-enter their lives with fresh perspectives and renewed spirits. The ITP is a specialized area of Southeast Health which allows for closer observation and is the region’s largest hospital-based inpatient program. Southeast Health’s ITP and Mood and Anxiety Disorders Program physicians and staff understand the importance of continuity of care. A schedule is established at the time of admission to update referring physicians with patient progress reports. As the patient improves, the referring professional is encouraged to participate in the discharge planning process. This team approach ensures the patient a smooth transition from hospital to home and back into everyday life. The Mood and Anxiety Disorders Program (MAP) for adults 19 and over is specially designed for adults with depression, bipolar disorder or extreme anxiety disorders. Many of these patients have a dual diagnosis with substance abuse and a dual recovery program is offered. Mental health is vitally important to quality of life. We understand that for many people, it can be difficult to acknowledge a need for help. There can be a tendency to think that these conditions indicate personal failure or weakness. Unlike physical conditions, many people find it more difficult to reach out for help with emotional difficulties. Research indicates that an estimated 26 percent of Americans – including one in four adults – suffer from a mental disorder during any given year. Most people with mental disorders continue to function normally in their daily lives. However, these disorders are the leading cause of disability in the United States for individuals age 15-44. Southeast Health Psychiatry-trained professionals provide an evaluation, and design a treatment plan, to meet individual needs, such as reducing stress, enhancing relationships and improving overall quality of life. Southeast Health Psychiatry is a service for individuals facing an acute crisis and who need immediate care, but do not require inpatient treatment. Severe depression or anxiety, psychotic symptoms and the need for medication stabilization are examples of such crises. Our clinical approach is to quickly intervene through medical management, establishment of support systems and solution-focused therapy. Referrals to Southeast Health Psychiatry are accepted from professionals and family members. 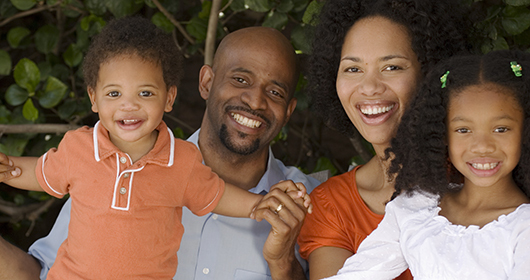 Our services are covered by most major health insurance plans. Pre-admission verification and rates are available upon request. Private pay arrangements are also available. For further information or to schedule an assessment, call us at 334-794-4582 or 1-800-248-2773. These professionals support patients as a team, implementing treatment plans and monitoring patient progress toward individual goals. Referrals are accepted from professionals and family members. Our services are covered by most major health insurance plans. Pre-admission verification and rates are available upon request. Private pay arrangements are also available. For further information or to schedule an assessment, call us at 334-793-8800 or 1-855-846-8253.